It’s Tuesday! It’s Game Day! 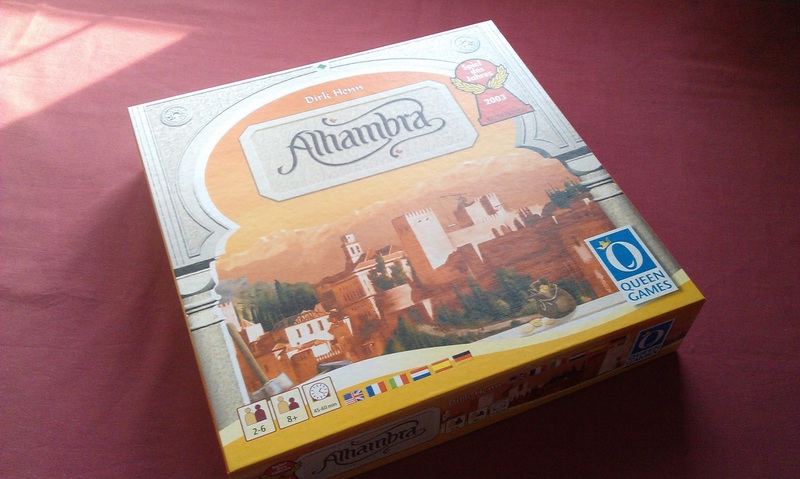 And today, it’s time for one of the classics of the tabletop gaming scene – let’s look at Alhambra! This game is one of a few that I bought after seeing the Tabletop episode, which I suppose a lot of people did. I mean, we’re talking the Wheaton Effect in action, and all! Hopefully you all enjoyed the hell out of that! There is a strategy at work here that I find very much akin to problem-solving, which is not why I like to play games one bit. And yet, I still like this game an awful lot. 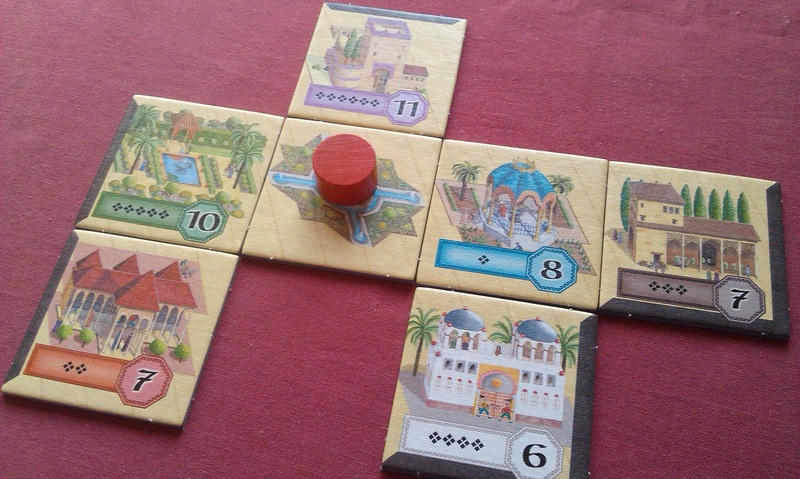 It’s certainly very attractive to play, and while I often fall into the trap of thinking “well, I’ll put that garden here, because it’ll give the girls something to look out from the seraglio onto…” rather than “I need to make sure I don’t block that with a wall that could lead to me using up turns just reorganising…”. I still tend to try and use as few turns as possibly reorganising, and mainly attempt to build my Alhambra straight off. It doesn’t always work, but still! I’m not so big on Euro-style games as I was, but this is still one of the go-to games on a games night that I really enjoy. There are a number of expansions, including one that allows you to drive archways through walls or somesuch, but I haven’t actually felt a need to buy any of them as of writing this blog. While I’m normally an expansionist fiend, and this will probably sound a bit strange from me, it’s one of those games that I actually feel doesn’t really need any expansion. Carcassonne is quite similar in this regard – sure, the added mechanics can be fun, but I like to play the game with the core set only as much as I play with the extras. Alhambra doesn’t need more, it can be enjoyed as a beautiful game exactly for what it is. If you haven’t already, you should totally go snap yourself up a copy!